Vinification & Aging: In steel tanks at controlled temperature between 82° and 86° F, maceration on the skins for 15-18 days. 30 months in 500l Slavonian oak casks, 6 months in second and third step barriques and an addition 6 months in the bottle. 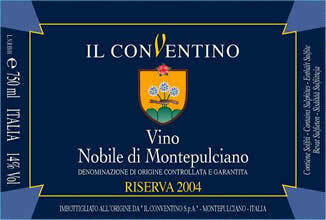 Description: Typical Vino Nobile, with aromas of plum jam and cherry, a beautiful floral purple, black pepper and tobacco; hot and structured in the mouth, appreciable softness in the finale, balanced by a pleasing freshness.